Locked out of your Samsung laptop because you’ve forgotten Windows 8 password? How to reset lost administrator password on your UEFI-based Samsung laptop? If you’ve bought a Samsung laptop with Windows 8 pre-installed, you may find out there is no option to boot from a CD/USB drive. 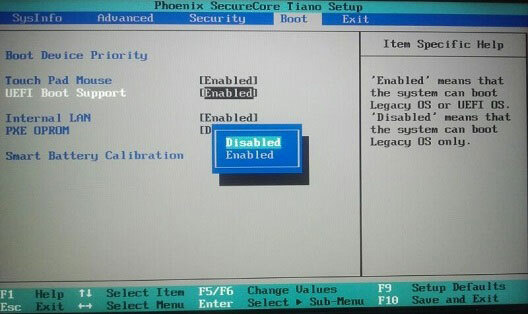 That is because the traditional PC BIOS has been replaced with UEFI, which is no long compatible with your boot CD/USB. 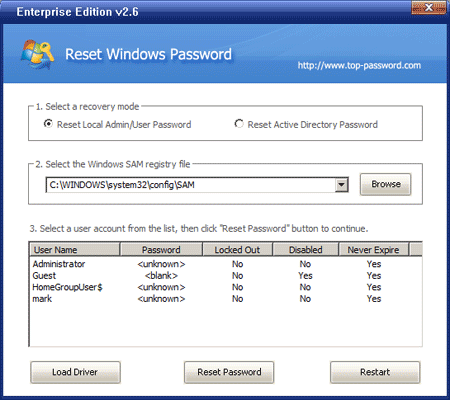 So how to unlock a Windows 8 Samsung laptop using a password reset boot CD? In this tutorial we’ll walk you through how to reset lost Windows 8 password on UEFI-based Samsung laptop. How to Reset Lost Windows 8 Password for UEFI-based Samsung Laptop? If you don’t have a password reset boot CD/USB drive, you can create one easily. Simply download the self-extracting archive of Reset Windows Password utility on your computer. Unzip the download file which contains a bootable CD image. Burn the ISO image to a blank CD or USB drive using ISO2Disc, BurnCDCC or ImgBurn program. Connect the boot CD/USB drive to your UEFI-based Samsung laptop. Upon powering on the laptop, press F2 to enter into BIOS. Navigate to the Advanced tab, disable the Fast BIOS Mode. Switch to the Boot tab, and then disable the UEFI Boot Support. Press F10 to save your changes and exit. Turn on or restart your Samsung laptop. Press F10 when you see the Samsung logo. 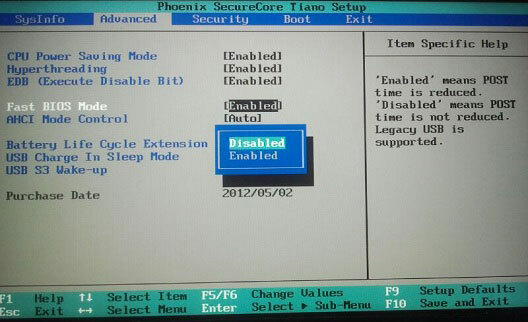 Now you’ll see the boot CD/USB drive shown in the list of Boot Menu. Highlight your CD/USB drive with the cursor keys and press Enter. The computer should now boot from the CD/USB drive. After a while, the system will launch the Reset Windows Password program, which displays a list of Windows 8 user accounts on your Samsung laptop. Choose a user account and click on Reset Password button. The program will quickly remove your forgotten Windows 8 login password and unlock your user account if it is disabled, locked out or expired. Restart your Samsung laptop and remove the boot CD/USB drive. When the computer is powered on again, press F2 to enter into BIOS and then enable the UEFI Boot Support option. When you boot to the Windows 8 login screen, you can successfully log back into your user account using a blank/empty password.